The vision is for a new movement not like any before! It will be a revolution… sweeping across Germany, spreading out into the nations. There will be no limits to the means used to reach the end goal. We want to see every generation united together, connected to one another, mobilized, and called out to use every God-given tool to reach everyone with the saving Gospel of Jesus. Do you have a heart for missions? Do you want to see God work in people’s lives? We want to invite you to help out in the Kitchen, Offices, Creative Arts, Administration, Schools, Garden, Accounting, Hospitality, Maintenance, etc.! All these departments are here to serve God and to see His will be done here on earth. We are pursuing to know Him and go into the world to make Him Known! 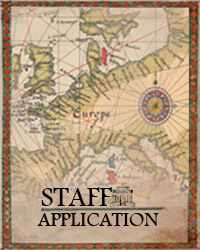 Apply Now! *Completion of a Discipleship Training School (DTS) with YWAM, is required. Our community needs volunteers who help us in practical areas. Like painting, gardening, cooking, IT, maintenance, you name it! Together we work here in Herrnhut and Build the Mission! Do you want to join our community, as a Mission Builder, for a season (from 2 weeks up to 3 months) ?